If the investigation arose from partisan opposition research, what specific crime is he looking into? The memo released Friday by the House Permanent Select Committee on Intelligence was the product of necessity, not choice. Even before its release, the debate over its provenance, motive and effect was obscuring the crucial point that it is the underlying facts the memo alleges that present the real issues. The committee’s memo says that yet another memo, which goes by the cloak-and-dagger title “Steele dossier,” provided at least part of the basis for a wiretap of Carter Page, a U.S. citizen who had volunteered as a foreign policy-consultant to the Trump campaign. The Foreign Intelligence Surveillance Court granted the wiretap application from the FBI and Justice Department two weeks before the 2016 election. In order to obtain the warrant, the government had to show probable cause that Mr. Page was acting as the agent of a foreign power and that in so doing he had committed a crime. The Steele dossier is 35 pages of opposition research on Donald Trump, described by former FBI Director James Comey as “salacious and unverified.” It was paid for by Hillary Clinton’s campaign and the Democratic National Committee, and compiled by Christopher Steele, a former British intelligence agent who had a luminous dislike for Mr. Trump and was also an informant for the FBI. The House memo reports that the FBI and Justice Department did not advise the FISA court that the dossier was funded by the Clinton campaign and the DNC. It also reports that the government’s cited support for the accuracy of contentions in the wiretap application—statements in a news article—had originated in a leak from Mr. Steele himself. Mr. Steele was fired by the FBI for a later unauthorized disclosure to the press, a cardinal offense by an informant. But the FBI continued to receive information from him through a Justice Department employee whose wife worked for the opposition-research firm that employed Mr. Steele and was paid by the DNC and Clinton campaign through a law firm, which acted as a cutout to conceal the source of the payments. All that and more was known by the FBI and the Justice Department, according to the House memo, but not disclosed to the FISA court. That is certainly scandalous, but how consequential it is would seem to depend at least in part on what role the Steele dossier played in the application for the warrant. According to the House memo, the FBI’s then deputy director testified in December that there would have been no application for the warrant but for the dossier. The committee’s Democrats deny he said that. In any case, it appears the Steele dossier played some role in the FISA application. The dossier, thanks to a long-ago leak, is publicly available; if you’d enjoy a swan dive into a cesspool, go read it. The FISA application is not available. How come? Such applications are at the highest level of classification. They often contain sensitive intelligence information that can betray confidential sources and methods; disclosure can severely damage national security. But notice that the FBI’s only objection to the House memo at the time of its release was that it was incomplete, not that it disclosed sources and methods. Thus it is possible to summarize parts of a classified document to disclose information relevant to a public issue without disclosing secrets. It is also possible to redact a classified document to the same end. It should be possible to disclose the parts of the FISA application that are alleged to come from the Steele dossier to see if there is any there there. That was not done because the FBI and the Justice Department resisted, and the committee had to make do with a summary. That is why the memo was a product of necessity, not choice. Those critical of its release say it is intended to damage special counsel Robert Mueller’s investigation. How does possible misconduct by senior FBI officials, which is certainly bad enough, intersect with the Mueller investigation? As follows: The Justice Department regulation that authorizes the appointment of special counsels requires a determination that a “criminal investigation” is warranted, and that there is a conflict or other good reason that prevents ordinary Justice Department staff from conducting it. The letter from Deputy Attorney General Rod Rosenstein appointing Mr. Mueller says he is to “conduct the investigation confirmed by then-Director James Comey before the House Intelligence Committee on March 20, 2017,” which covers “any links and/or coordination between the Russian government and individuals associated with the campaign of President Donald Trump,” and any matters that may arise “directly” from that investigation. But the investigation then disclosed by Mr. Comey was not a criminal investigation; it was a national-security investigation. Possible Russian meddling in the 2016 election is certainly a worthy subject for a national-security investigation, but “links” or “coordination”—or “collusion,” a word that does not appear in the letter of appointment but has been used as a synonym for coordination—does not define or constitute a crime. The information, and misinformation, in the Steele dossier relates to that subject. If partisan opposition research was used to fuel a national-security investigation that has morphed into a series of criminal investigations, and the special counsel has no tether that identifies a specific crime, or “a specific statement of the matter” he is to investigate, that is at least unsettling. By contrast, the Watergate, Iran-Contra and Whitewater investigations, whatever you think of how they were conducted, identified specific crimes. The public knew what was being investigated. Here, none of the charges Mr. Mueller has brought thus far involved “coordination” or “collusion” with the Russians. Mike Flynn and George Papadopoulos both pleaded guilty to lying to the FBI, the latter over the timing of conversations with Russians in which he was allegedly offered but never received “dirt” on Mrs. Clinton, including her emails. He also attempted to set up a meeting between the Russians and Mr. Trump, but the campaign blew off that effort. Notably, Mr. Papadopoulos did not plead guilty to participating in any plot that involved “coordination.” The Paul Manafort and Rick Gates indictments charge fraud on the government through receipt of and failure to disclose payments from a pro-Russian Ukraine politician. What to do? I believe that at a minimum, the public should get access to a carefully redacted copy of the FISA application and renewals, so we can see whether officials behaved unlawfully by misleading a court; and Mr. Mueller’s mandate should be defined in a way that conforms with the legal standard of his office. 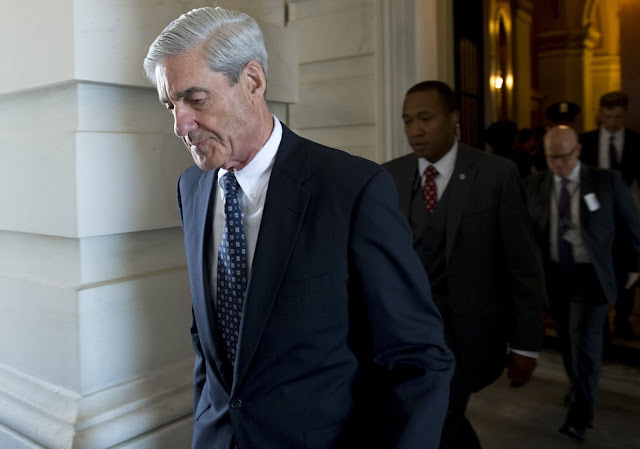 When Special Counsel Robert Mueller was first appointed, we, the members of the National Black Republican Association, crafted a citizens’ petition to Congress with a call to terminate Mueller’s appointment, which was made in violation of the law and our Constitution. We must join forces and confront the peril we face from our Government. I sounded the alarm bell in the below citizens’ petition that is also posted on the National Black Republican Association blog and that of Dr. Rich Swier about how an untenable precedent has been set for the Government to use its full power to subjugate us. Our laws and Constitution protect each of us from having our Government use our legal system to destroy us when we have not committed a crime. Unlike banana republics, we do not use our legal system to punish our political opponents, simply because we disagree with their ideology. The concern that prompted the appointment of the Special Counsel—a legal prosecutor—is whether Russia interfered in our election and the Trump campaign "colluded" with the Russians to do so. After months of national security investigations, no evidence of Trump campaign "collusion" with the Russians has ever been found. Election interference and collusion are national security matters, not crimes, and no crimes were alleged when the Special Counsel was appointed, as is required by the law and our Constitution. So, bottom line, this appointment violates federal laws, is contrary to our justice system and puts in jeopardy our Fourth Amendment right not to have our property and records seized in the absence of our having committed a crime. If we fail to grasp the significance of what is happening and do not take action now to bring this travesty to a crashing halt, then we deserve to become a subjugated people. This is a call to action--NOW!! Even more egregious, makes all Americans vulnerable to search and seizures of our persons, houses, paper and effects without probable cause—a violation of our rights granted by the Fourth Amendment to the Constitution. 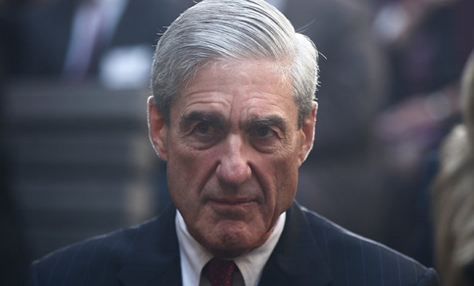 Now, therefore, we demand that the United States House of Representatives Oversight Committee call for the immediate termination of the Special Counsel whose existence violates Code of Federal Regulations sections 28 CFR 600.1 and 28 CFR 45.2 and puts in jeopardy our Fourth Amendment rights under the U.S. Constitution.